Sao Paulo (AFP) - Lewis Hamilton survived carnage and relentless rain to send this year's world championship down to the wire in Abu Dhabi as he claimed a spectacular victory in Sunday's Brazilian Grand Prix. 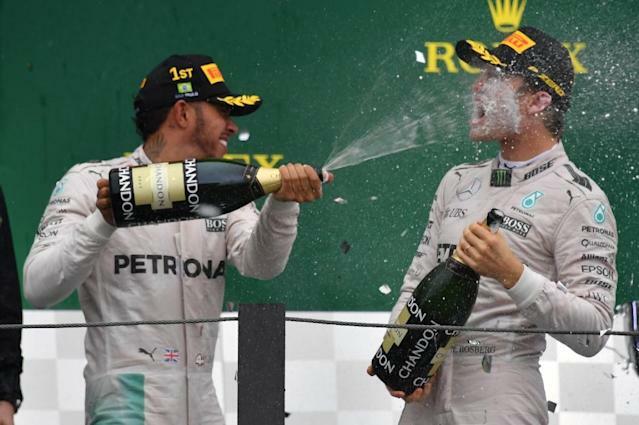 The defending three-time world champion showed all his tenacity and skill with a near-flawless drive in treacherous Interlagos conditions to finish ahead of his Mercedes team-mate and championship leader Nico Rosberg. The German came home second to leave himself needing a podium finish in the final event on November 27 to seal his maiden title triumph, in what promises to be one of the most tense season F1 finales in recent memory. With one race remaining, Rosberg leads by 12 points, but Hamilton warned that he was "hunting" his team-mate. 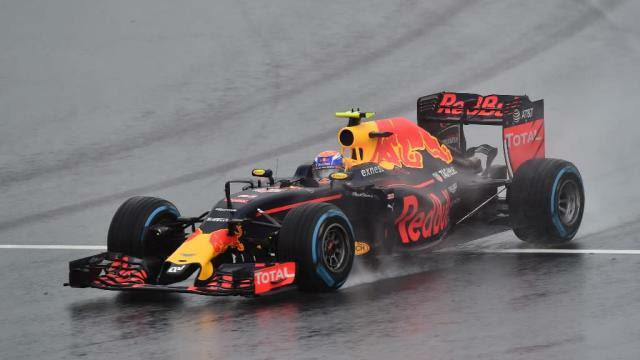 Max Verstappen produced the most stunning performance of the day â- if not the season -â when he recovered from falling to 16th after a late tyre change to claim third place with a series of daring passes in the final laps. 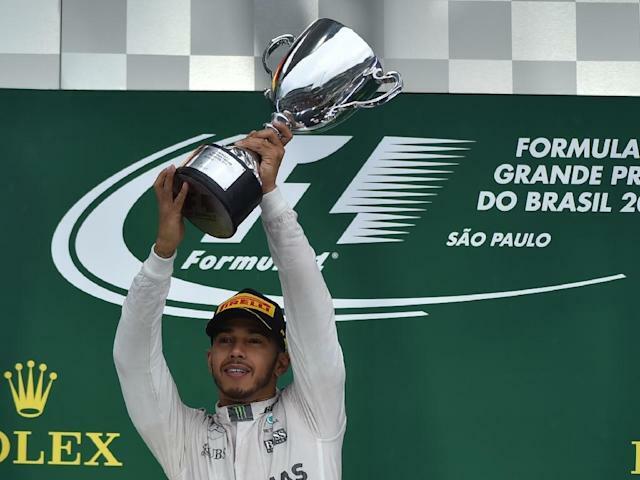 It was Hamilton's first win in Brazil at the 10th attempt and completed a hat-trick of recent wins, following his triumphs in the United States and Mexico last month. Hamilton's ninth victory of the year and 52nd of his career lifted him one clear of four-time world champion Alain Prost. "Not too bad," said the Briton Hamilton, with rich irony. "I was just chilling up front. When it rains, it is usually a good day for me." "It didnât go my way today," said Rosberg, who nevertheless still has one hand on the title. "Lewis did a great job. It was very difficult conditions, but I can live with second place." In a three-hour race that featured two red-flag stoppages, five safety car interventions, major high-speed crashes and high emotions, Sergio Perez finished fourth for Force India ahead of an embittered Sebastian Vettel. The four-time champion was again left complaining that Verstappen had pushed him off the track in a late move as the Dutchman charged to the podium. Carlos Sainz came home sixth for Toro Rosso ahead of Nico Hulkenberg of Force India, Daniel Ricciardo of Red Bull, Felipe Nasr of Sauber and two-time champion Fernando Alonso. The race started behind the safety car and the field ran in grid order for seven laps before they began racing in earnest. Pole-sitter Hamilton took control while behind him Verstappen passed Kimi Raikkonen under braking into the spectacular Turn One, leading into the Senna "S" bend. On lap 10, Vettel spun off and recovered before pitting while, two laps later, Swede Marcus Ericsson crashed his Sauber, losing control at the start of the straight and leaving widespread debris on the track. As the rain intensified, it was no surprise to see the safety car peel in again at the end of the 19th lap. 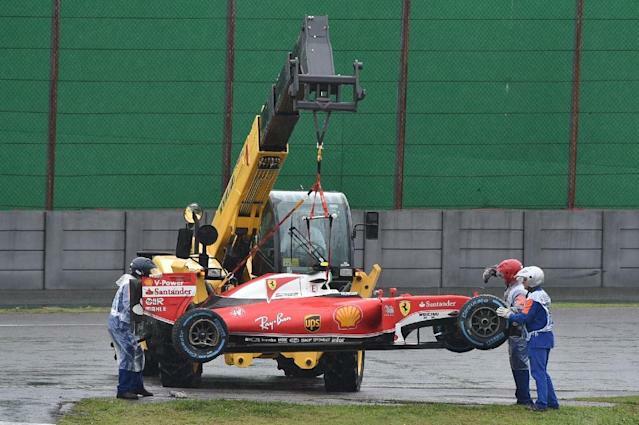 Almost immediately, Raikkonen crashed on the main straight, losing control in the heavy rain. Esteban Ocon just missed hitting him with an instant reaction in his Manor as the race threatened to spiral out of control. Raikkonen was unhurt and walked back to the pits as the race was halted by a red flag. "The aquaplaning is not for fun, these tyres are not capable," warned Hulkenberg. "I nearly lost it," admitted Verstappen, whose Red Bull had a massive twitch on the straight as Raikkonen crashed. After a 35-minute break, the action resumed behind the safety car, but the race was red-flagged for a second time after a further eight rain-soaked laps -- to widespread boos and thumbs down from the Interlagos crowd. Finally, the race re-started, again, behind the safety car with Hamilton pulling clear and Verstappen charging. Rosberg defended his first attack, but could not respond when the teenager passed on the outside at Turn Three. "Great job Max, a mega move," said Red Bull team chief Christian Horner. Verstappen, living up to his "Mad Max" soubriquet with astonishing audacity and supreme bravery, almost spun into the wall at the final corner on lap 38, saving the car with stunning skill. Hamilton stayed ahead, tip-toeing delicately amid the chaos, while Rosberg, second and chasing, half-spun and recovered. The safety car was called for again after 49 laps when Felipe Massa, in his final home race, crashed after the final corner, his car stopping at the pit lane entry. 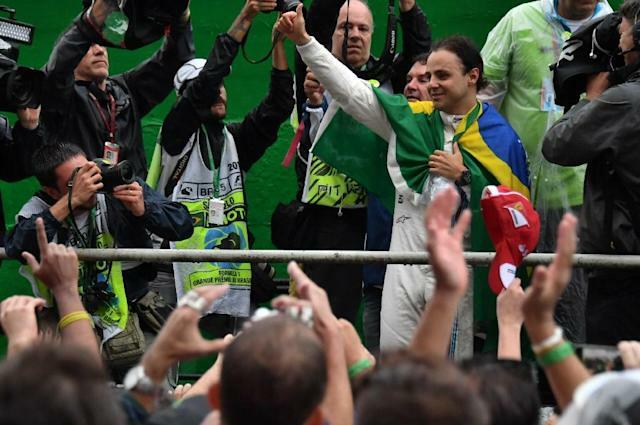 He climbed out unhurt, but emotional, wrapping himself in the Brazilian flag as he trudged back to the Williams garage with the crowd -â and rival teams -- cheering his every step.